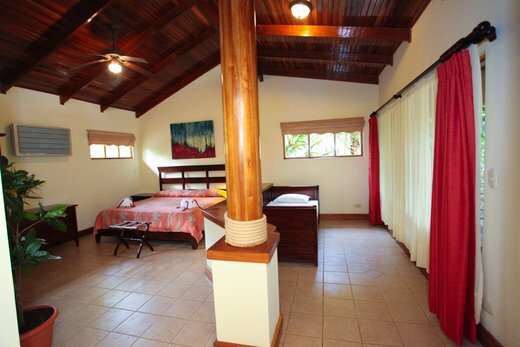 6 Nights of Full Accommodations in a Beautiful 4 Star resort / Three Delicious Meals Per Day / Fresh Fruits & Coffee All Day / Daily Yoga – Beginner 26&2 in a on-site Heated Studio with Joseph / Lotus Body Sculpt, A High Intensity-Low Impact Body Conditioning with Carolina / Beautiful on-site Swimming Pool & Whirl Pool / Daily Activities including surfing, nature walk or zip-lining / Meditation Sessions / Walking Distance from World-Class Surf Location Jaco Beach. Jaco Costa Rica is the most popular surf beach town in Costa Rica. It is the easiest beach town to get to from the San Jose airport. Jaco is located in the center of the Pacific coast. Jaco Beach itself is about three miles long. The valley is ringed by beautiful jungle covered mountains that rise 1,000 feet from the sea. Our hotel is at the base of the tallest mountain, one mile from the south end of the beach. On the south end, much of the beach front development is residential and the sand and the surf breaks here are wide open and uncrowded. In the center and middle you will find more hostels and low budget hotels and the mega hotels in Jaco, so there are crowds there if you are looking for them, but seclusion is an option. Jaco has long been recognized as the “surf city” of Costa Rica. 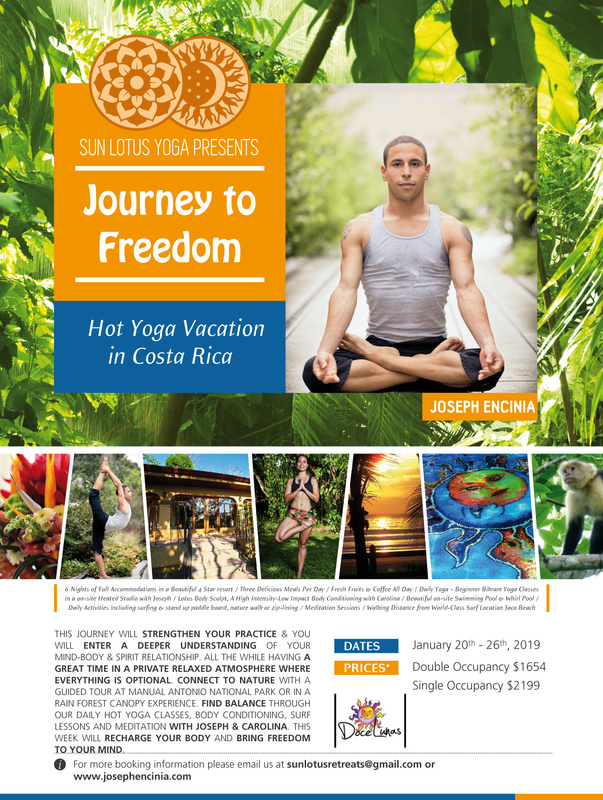 Our hotel in Jaco is only one mile from the south end of the beach and ten minutes from the world famous Hermosa Beach where the 2009 ISA World Games of Surf were held, and there are ten more beaches and river mouth breaks within an hour drive. This area of the coast receives more consistent surf than most places on the planet, and with ten beaches to choose from, there is almost always something firing! 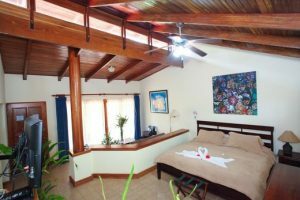 DoceLunas – A Tripadvisor Travelers’ Choice Award Hotel, DoceLunas has been awarded best small hotel in Costa Rica in not just in Costa Rica, but in all of Central America and is the number five best hotel in the relaxation and spa category. 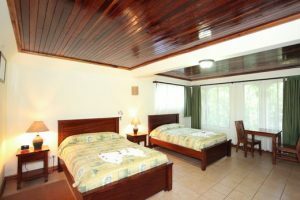 DoceLunas is one of a very few certified four star hotels on the bargain list. Huffington Post recently rated them fifth best and most affordable destination spa in the world. Airport – Juan Santamaría International Airport SJO is the primary airport serving San José, the capital of Costa Rica. It’s advised to schedule roundtrips between the dates of Jan.20 – Jan. 26. Airport transportation will be provided. Ride from the airport to the hotel should be between 1.5 – 2 hours depending on traffic. January the first reliably dry month at the beginning of Costa Rica’s Pacific side dry season. The northwestern and central regions of Costa Rica have little rain and mostly sunny weather. What little rain falls usually comes as afternoon or evening showers. High temperatures in the lowlands and and near the beaches are in the low to mid-eighties (low to mid nineties are possible) and lows in the low seventies. Dress light during the day & bring a light sweater for the evening. 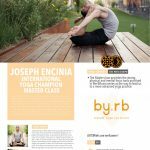 26 & 2 – Is a system of yoga synthesized from traditional hatha yoga techniques. All classes run for 90 minutes and consist of the same series of 26 postures, including two breathing exercises. Is ideally practiced in a room heated to 40 °C (104 °F) with a humidity of 40%. 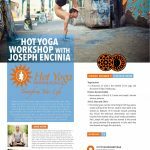 Our daily morning classes are conducted in an on-site heated studio and are lead by International Yoga Champion Joseph Encinia. This will also include a Master Class that will improve your technique and understanding all while taking you to the next level of your practice. A High Intensity-Low Impact full body conditioning class designed to tone and strengthen not only the big muscle groups but also target those “hard to get” muscles. With a combination of Barre, Pilates and Yoga, and a strong focus on form precision to ensure a safe training, Lotus BodySculpt© by Carolina Rivera promotes and improves your core strength and definition, builds toned and lean muscle, improves body alignment, posture and joint stability and increases endurance, all while following the rhythm of high energy and fun music! Carolina Rivera was born in Santiago (Chile) were she began her dance training at the school of ballet of Teatro Municipal de Santiago and majored in Dance at the University of Chile with High Honors and the Excellence Award. Her desire to pursue a career in Dance brought her to New York where she was a scholarship recipient at the Martha Graham School, joined Graham II and currently performing with Alison Cook Beatty Dance. View the descriptions below to choose your accommodation. Reserve your spot & accommodations by making a deposit or full payment. Check payments are accepted, please inquire via email for mailing address. Online payments are fulfilled via WeTravel. Please note there will be a 2.9% fee for credit card charges. Transactions made directly from your bank account are free of charge. Only available for 2 participants traveling together. Participants must be 21+ by the beginning of the event. Airfare, alcoholic beverages, and tips are not included. Space is limited to ensure the quality of your experience, the deposit will hold your place. Half of the remaining balance is due 90 days prior to the first day of the vacation (October 22nd, 2018). The final payment is due 60 days prior to the first day of the vacation (November 21st, 2018). Airport: Flights must be booked to Juan Santamaria International Airport, San Jose, Costa Rica (SJO). Check-in date is Sunday, January 20th. Activities start on Sunday evening. Check-out date is Saturday, January 26th. If you are planning to arrive earlier than the start date or stay later than the end date, we would gladly contact the hotel and help you book those extra nights of accommodation. This will have to be processed through the hotel. Please share your flight information with us as soon as is booked to organize airport transportation. Payments: all online payments will be processed via WeTravel and can be made with a credit card (2.9% fee) or through your bank account (free of charge). You can choose to make 1 full payment or a $600 deposit plus 2 installments (due on 10/22/18 & 11/21/18). We accept check payments, please inquire via email for mailing address. Prices stated are per person. Cancellations and Refunds: There are no refunds available, participants who are unable to attend under any circumstances will be offered to credit their balance towards the next vacation. Travel insurance is not included on the package but we highly recommend that you purchase it in case of emergencies or unforeseen circumstances. Travel insurance is available at the time of booking your flight for most airlines or please contact us for recommendations. Welcome Packet: Upon registration, you will receive a Welcome Packet including further information about the schedule, suggested packing list and other details. Sun Lotus Retreats reserves the right to accept, reject or prohibit registration for or attendance at its events at any time for any reason.